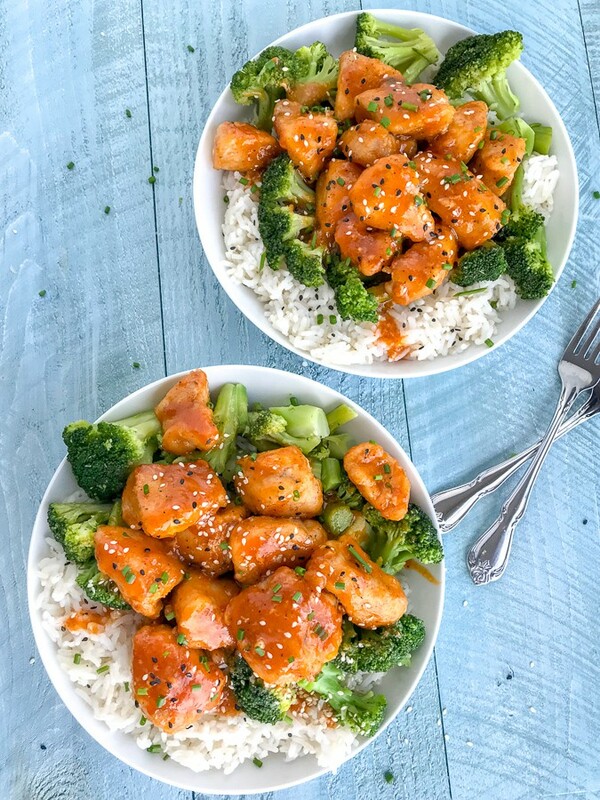 If you’re a fan of sweet and spicy foods, then this Sweet Sriracha Chicken Bowls recipe is for you! These bowls are flavor packed, easy to make, and guaranteed to wow your taste buds. Tastes just like takeout, but healthier! 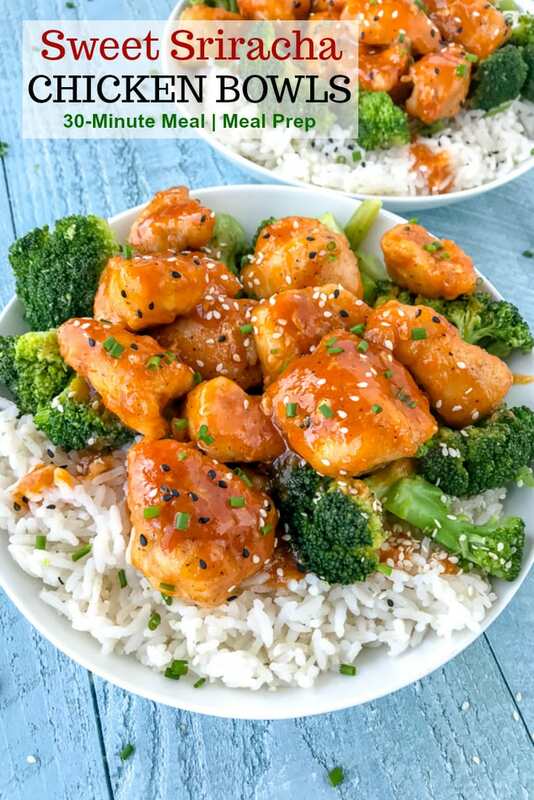 Juicy, tender chicken smothered in the most delicious sweet, spicy, and sticky sauce and served over rice and steamed broccoli. Everything comes together in around 30 minutes and is a great meal prep option! Not a fan of too much heat? Lower the amount of Sriracha or omit the cayenne pepper. Swap out the white rice for cauliflower rice to lower calories and carbs. If there is one thing that I love – it’s a bowl of deliciousness like this! Take or leave the rice, I could gobble up the chicken and broccoli. The sticky, sweet and spicy sauce is incredible! This whole bowl tastes like take out, but on a healthier, lighter-on-the-wallet note. Bowls like these are ones that you keep coming back to for just one more bite. Ones that you can’t help but have seconds of. One that is a keeper – to be added to your recipe tin box! Place the chicken into a ziploc bag and season with salt and pepper. Toss to combine. Add in the cornstarch, seal the bag and give it a good shake or two to thoroughly coat the chicken. Place a large, nonstick sauce pan over medium heat. Add the butter. Once butter is melted and bubbling, add the chicken, shaking any excess cornstarch off. You may need to work in batches. Cook chicken 2-3 minutes per side, or until the chicken reaches an internal temperature between 155-160 degrees F using a meat thermometer. While the chicken is just beginning to cook, prepare the ingredients for the sauce. Stir well. Once the chicken has reached an internal temperature of 155-160 degrees F, drizzle the sauce over the chicken and stir/toss to fully coat each piece of chicken. Cook 3-4 minutes, or until the sauce has thickened and the chicken has cooked through, reaching 165 degrees F internally. Sauce will thicken as it sits. Serve over white rice, brown rice, or Cauliflower Rice with steamed broccoli. Garnish with sesame seeds and freshly chopped chives. HEAT FACTOR: This recipe calls for 6 tablespoons of sriracha – which means this recipe, as is, will be pretty hot. Your mouth will feel it! If you like it hot, keep the recipe as is. 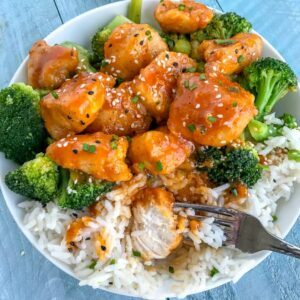 If you prefer a subtle bit of heat, lower it to 2 to 2 1/2 tablespoons of sriracha and replace the 2 to 2 1/2 tablespoons of missing sriracha with honey and soy sauce. You can also omit the cayenne pepper. SODIUM: I used regular, salted butter in this recipe with a little bit of salt added and low-sodium soy sauce. If using regular soy sauce, omit the additional salt added and season to taste when done cooking. RICE: You can easily swap out the white rice for brown rice, quinoa, or Cauliflower Rice. Digital Meat Thermometer – fast, easy to use and read. Five Blade Herb Scissors – ideal for super easy herb chopping! Sesame Seeds – for garnishment. 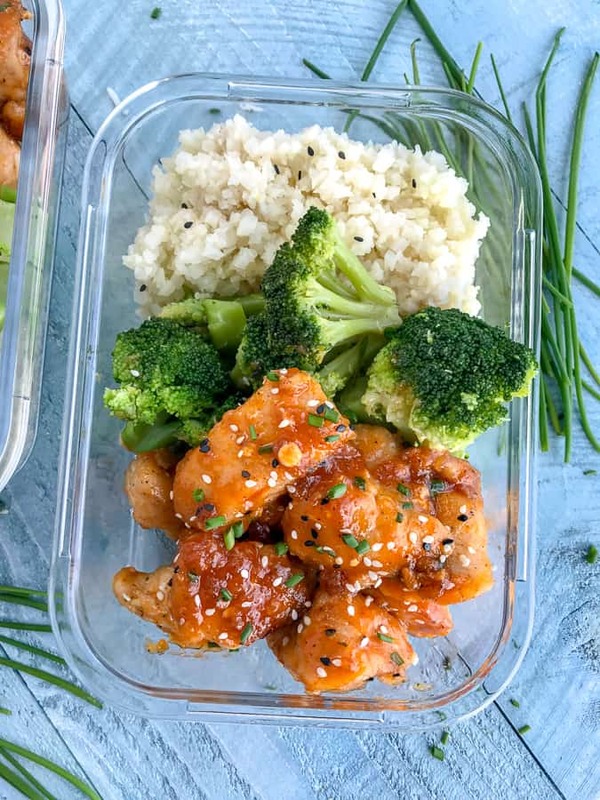 Glass Meal Prep Storage Containers – perfect one-compartment dishes that are reusable, microwave- and dishwasher-safe, and great for portion controlling. 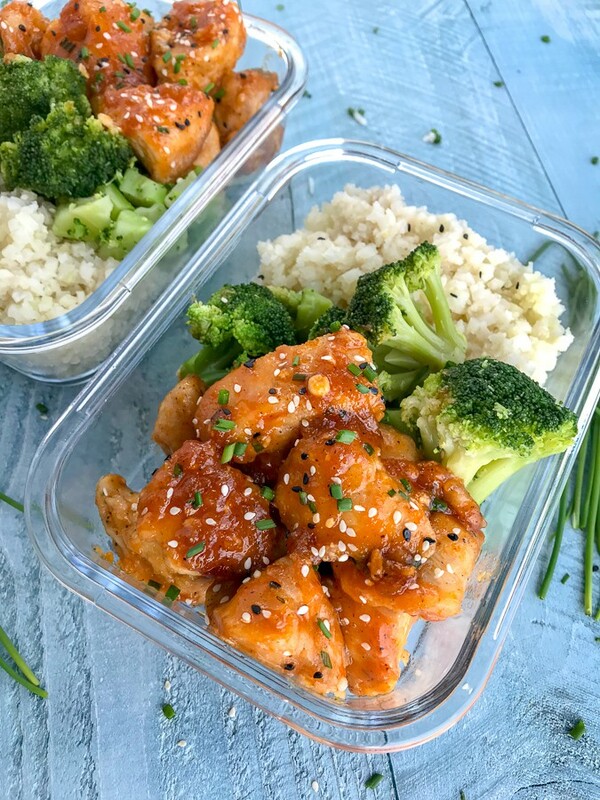 Three Compartment Glass Meal Prep Containers – if you prefer to keep things separate or need to keep foods divided, these are ideal! To Go Dressing Containers – ideal for dressings, sauces, cheeses, nuts, or any form of garnishment. 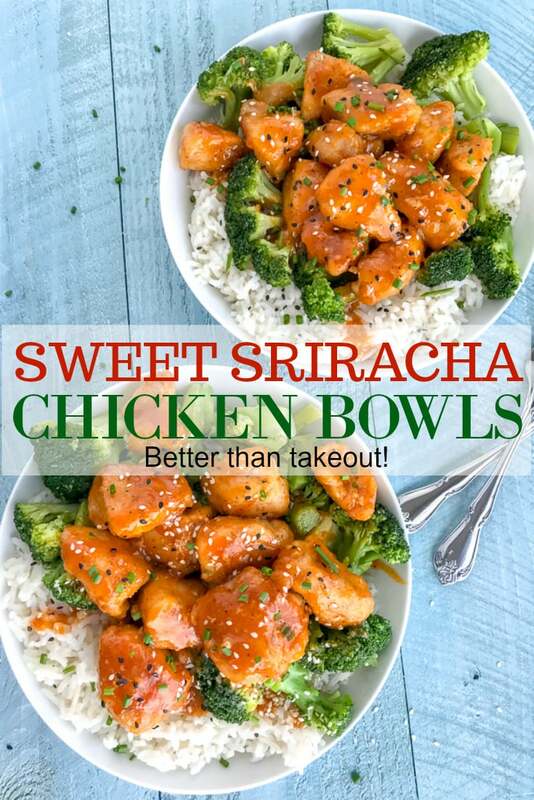 Incredibly delicious and easy to make Sweet Sriracha Chicken Bowls. 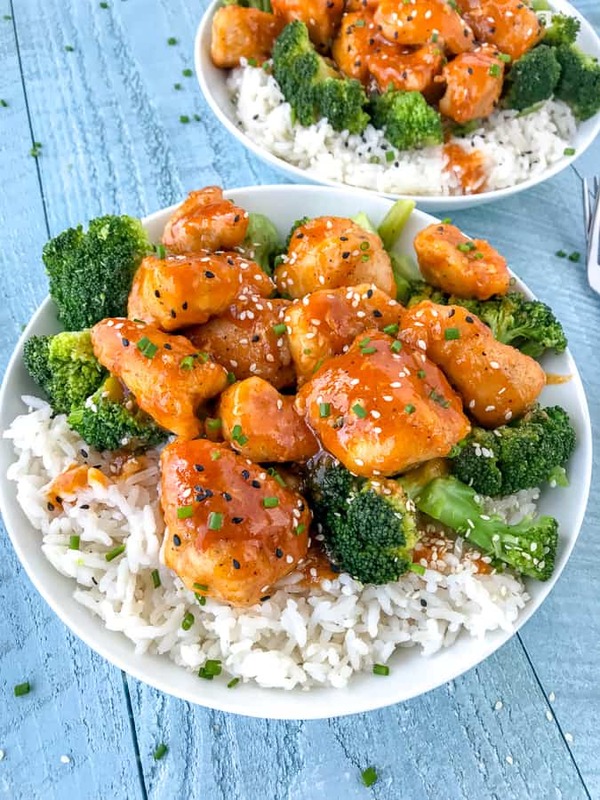 Juicy, tender chicken coated in a sweet and spicy sticky sauce that is served over rice and steamed broccoli. Sure to be a crowd pleaser! Place a large nonstick sauce pan over medium heat with butter. To a Ziploc bag, combine chicken and season with salt and pepper. Add in the cornstarch, seal the bag and toss to thoroughly coat. Once the butter is melted and bubbling, add the chicken, shaking off any excess cornstarch. Cook chicken 2-3 minutes per side or until the internal temperature reaches 155-160 degrees F using a meat thermometer. While the chicken is cooking, combine ingredients for sauce into a medium-sized mixing bowl. Once the chicken has reached an internal temperature of 155-160 degrees F, drizzle the sauce over and toss to coat. Allow sauce to simmer, stirring frequently, 3-4 minutes, or until the sauce has thickened and the chicken is cooked through (165 degrees F). Sauce will thicken as it sits. Remove from heat and served over rice and broccoli. 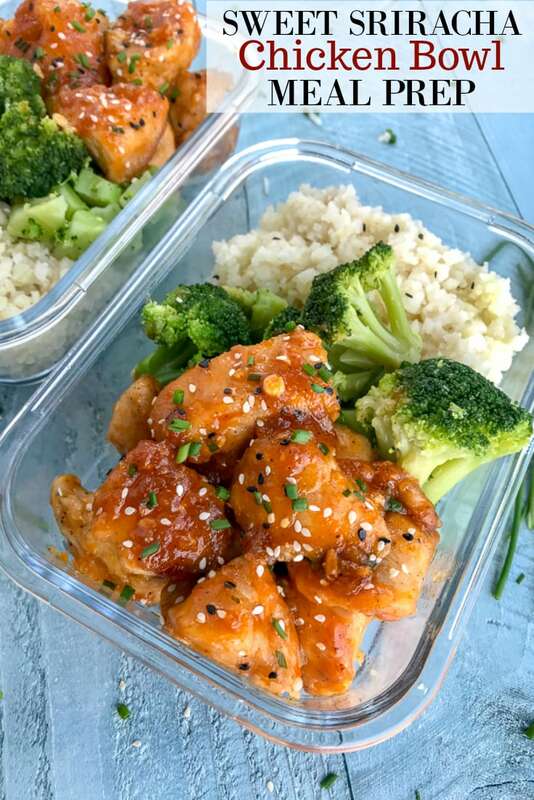 Divide chicken and sauce into four separate meal prep containers with 1/2 cup of rice and 1 cup of broccoli. Seal with lids and store in the refrigerator until ready to eat. HEAT FACTOR: This recipe calls for 6 tablespoons of sriracha - which means this recipe, as is, will be pretty hot. Your mouth will feel it! If you like it hot, keep the recipe as is. 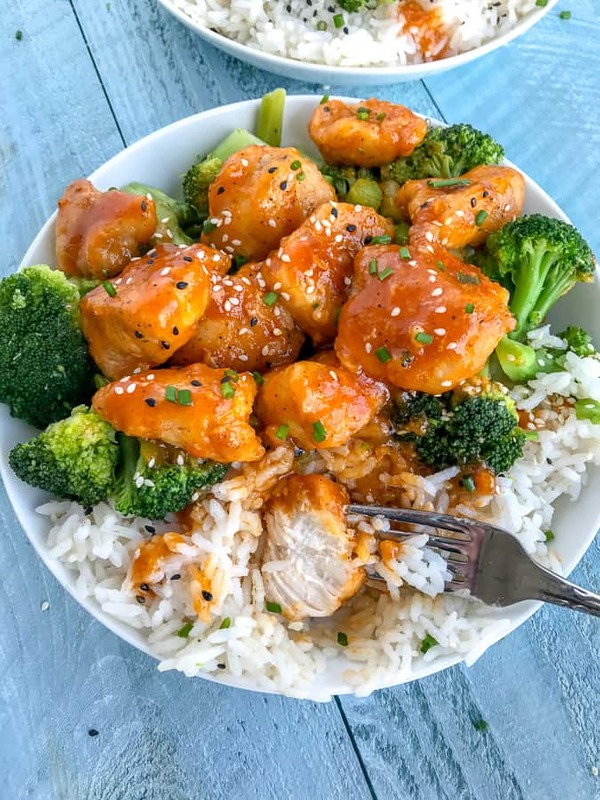 If you prefer a subtle bit of heat, lower it to 2 to 2 1/2 tablespoons of sriracha and replace the 2 to 2 1/2 tablespoons of missing sriracha with honey and soy sauce. You can also omit the cayenne pepper. This was really easy to make and extremely DELICIOUS! I did as it said if i needed it milder, i switched out a bit of the sriracha and it was PERFECT! Still spicy but edible seeing as i am not allowed spicy food i loved IT! Will make AGAIN! Thank you, Linda!! I’m so glad you enjoyed it so much! I really appreciate your feedback! I just made this for my friends with a friend and they all loved IT! Two even asked for the RECIPIE! That’s absolutely wonderful! Thank you kindly for taking the time to let me know! I truly appreciate it!